At first, a cataract has little effect on your vision. You may notice that your vision is blurred a little, like looking through a cloudy piece of glass or viewing an impressionist painting. Hazy, blurred vision may mean you have a cataract. The type of cataract you have will affect exactly which symptoms you experience and how soon they will occur. 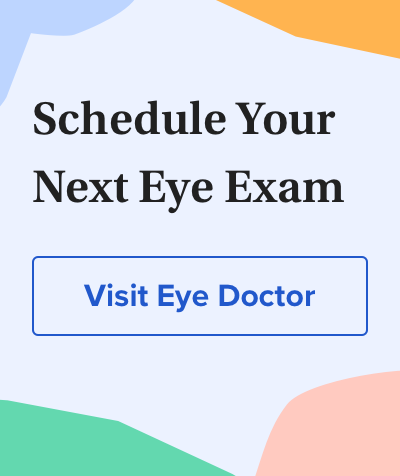 When a nuclear cataract first develops, it can bring about a temporary improvement in your near vision, called "second sight." Unfortunately, the improved vision is short-lived and will disappear as the cataract worsens. On the other hand, a subcapsular cataract may not produce any symptoms until it's well-developed. The lens inside the eye works much like a camera lens, focusing light onto the retina for clear vision. It also adjusts the eye's focus, letting us see things clearly both up close and far away. No one knows for sure why the eye's lens changes as we age, forming cataracts. But researchers worldwide have identified factors that may cause cataracts or are associated with cataract development. One theory of cataract formation is that many cataracts are caused by oxidative changes in the human lens. This is supported by nutrition studies that show fruits and vegetables high in antioxidants may help prevent certain types of cataracts. Though there is significant controversy about whether cataracts can be prevented, a number of studies suggest certain nutrients and nutritional supplements may reduce your risk of cataracts. One 10-year study of female health professionals found that higher dietary intakes of vitamin E and the carotenoids lutein and zeaxanthin from food and supplements were associated with significantly decreased risks of cataract. Another step you can take to reduce your risk of cataracts is to wear sunglasses that block 100 percent of the sun's UV rays when you are outdoors. New IOLs are being developed to make the surgery less complicated for surgeons and the lenses more helpful to patients. Presbyopia-correcting IOLs potentially help you see at all distances, not just one. Another new type of IOL blocks both ultraviolet radiation and high-energy visible blue light, which research indicates may damage the retina. In most cases, unless you choose presbyopia-correcting IOLs, you will still need reading glasses after cataract surgery. You may also need progressive lenses to correct mild residual refractive errors as well as presbyopia. For the best vision and comfort possible with glasses prescribed after cataract surgery, ask your optician to explain the benefits of anti-reflective coating and photochromic lenses.